Nonetheless, the Group stressed the importance of measures to provide reparations and seek justice as a response to the human rights violation committed during the dictatorship, and called on the Government to strengthen its responsibility and leadership role to ensure that these initiatives, which today are mainly run by relatives of victims, become part of a comprehensive and permanent State policy. “Other important challenges that Chile needs to overcome are the slowness of judicial proceedings, the application of military justice to current cases of human rights violations, the absence of an autonomous crime of enforced disappearance and the lack of a national plan to search for disappeared persons,” the experts noted. 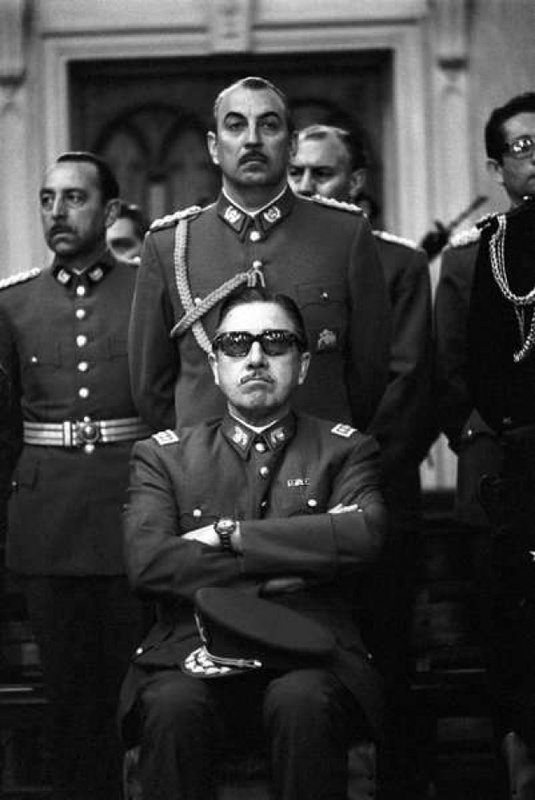 Top Photo - Pinochet & military junta. 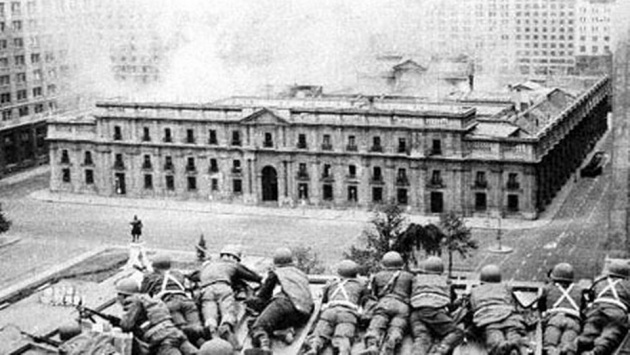 Bottom Photo - Military Storms Chile Government buildings.